There are currently four different organizations recognized by the Centers for Medicare and Medicaid Services (CMS) as accreditors for CT imaging, including the American College of Radiology (ACR), The Joint Commission (TJC), the Intersocietal Accreditation Commission (IAC, formerly the Intersocietal Commission for the Accreditation of Vascular Laboratories (ICAVL)), and RadSite (https://www.cms.gov/Medicare/Provider-Enrollment-and-Certification/SurveyCertificationGenInfo/Accreditation-of-Advanced-Diagnostic-Imaging-Suppliers.html. Accessed 27 Oct 2016). In addition to general CT imaging accreditation, the ACR has a specific cardiac module, and the IAC has accreditation programs for coronary calcium scoring CT and coronary CTA exams. TJC and RadSite have no specific cardiac requirements for CT scanners, although RadSite requires submission of a sample cardiac case if cardiac CT is part of the clinical practice. The commonality of all four accreditors is that the CT equipment specifications and performance meet all state and federal requirements. Beyond this requirement, the criterion for equipment accreditation and the technologist credentials differs among the accreditors. https://www.cms.gov/Medicare/Provider-Enrollment-and-Certification/SurveyCertificationGenInfo/Accreditation-of-Advanced-Diagnostic-Imaging-Suppliers.html. Accessed 27 Oct 2016. CT Accreditation Program Requirements. http://www.acraccreditation.org/~/media/ACRAccreditation/Documents/CT/Requirements.pdf?la=en. Accessed 27 Oct 2016. American College of Radiology CT Accreditation Program Testing Instructions. http://www.acraccreditation.org/~/media/ACRAccreditation/Documents/CT/CT-Accreditation-Testing-Instructions.pdf?la=en. Accessed 27 Oct 2016. Personnel Requirements for Medical Physicists and MR Scientists. http://www.acraccreditation.org/Revised-Program-Requirements. Accessed 27 Oct 2016. 2012 Computed Tomography Quality Control Manual, available from the American College of Radiology (http://www.acr.org/Education/Education-Catalog/Products/8336734). The IAC Standards and Guidelines for CT Accreditation. http://www.intersocietal.org/ct/standards/IACCTStandards2015.pdf. Accessed 27 Oct 2016. Diagnostic Imaging Requirements. https://www.jointcommission.org/assets/1/18/AHC_DiagImagingRpt_MK_20150806.pdf. Accessed 27 Oct 2016. RadSite MAP Accreditation Standards, version 2 (MAP v 2.2), available on request from http://www.radsitequality.com/cms-accreditation-requirments. Accessed 27 Oct 2016. National Association Medical Staff Services. www.namss.org/portals/0/education. Accessed 15 Jan 2017. 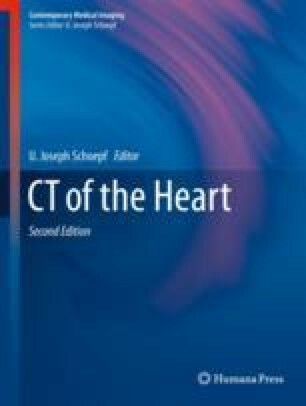 Latest News-Certification Board of Cardiovascular Computed Tomography. http://www.cccvi.org/cbcct. Accessed 28 Oct 2016. Cardiac CT Certificate of Advanced Proficiency (CoAP Exam). http://www.acr.org/Education/Exams-Certifications/CoAP. Accessed 28 Oct 2016.